As Summer gives way to the onset of Autumn, the noise of Rooks and Jackdaws becomes the sound marker for dawn. Weeks have elapsed since we heard the last of the dawn choruses of early Summer. 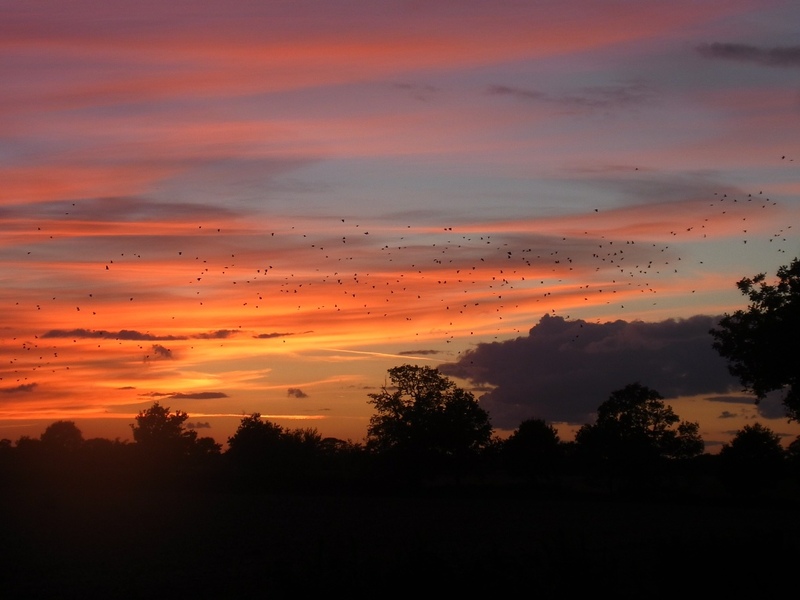 Now, it is bird movement which gives rise to noise – Rooks leaving their roosts call to one another as they stream towards the stubble fields and freshly cultivated land. The Jackdaws seem to treat this event as a joyride. In contrast to the steady purposeful flight of the Rooks, the Jackdaws swoop and sport in small groups whilst calling in a loud cacophony. Dusk. The Rooks and Jackdaws return to roost at Oxnead with a cacophony of noise. Their numbers have swelled. On Sunday night I tried to count them, but soon gave up. There must be 1500 birds or more in the gathering flock. Their flight lines ebb and swell like Starlings. Pouring into the Poplars they continue to call until one certain point when they are settled and silence floats down. The dark descends and they are quite until first light – or so it appears.